BRIO made eating out on this holiday a pleasure. Holidays can be crazy with long wait times. Not here. My reservation got me seated immediately and guest with no reservation waiter about 10 minutes. Restaurant was packed but noise level was very low. Food was delicious but then again it always is. I am a huge fan and a member of their reward club. This visit I got 25% off. 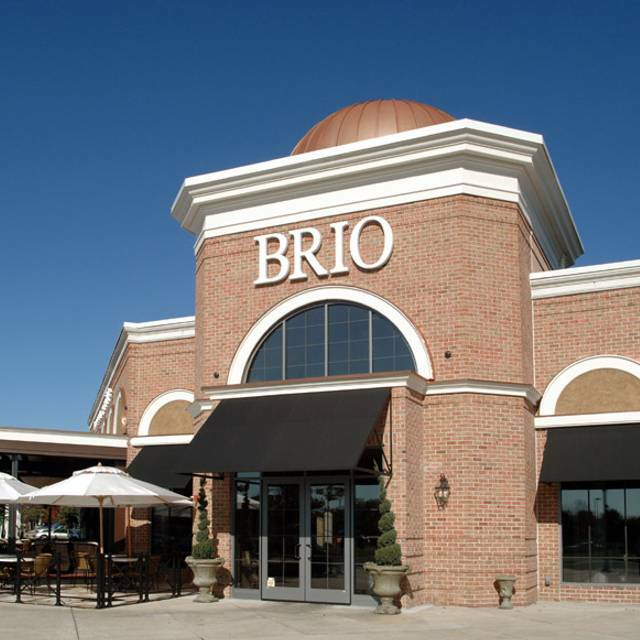 Our server was good, but BRIO was crowded for a Sunday early afternoon, only reason I didn't give them 5 starts. Food was excellent and hot when served. Bread was out of this world! Thank you for a very nice Easter Brunch! Nice family atmosphere. Our waitress was very attentive. The eggs Benedict could have been better.I tried the Gorgonzola medallions and was disappointed.Overall , a good time for our family of 7. Always a great treat for us, we dine here weekly. The restaurant is well managed, the staff is very courteous and friendly, and the food is delicious. We could recommend anything on the menu. It is also a great value and we consider this a must try restaurant! Brio can get a little noisy and hectic on the weekends in the main dining room but sitting on the porch is wonderful. Not as noisy and more space between tables. The food was very good and the service was excellent. We really enjoy our weekly visit to Brio. It is an attractive, will managed eatery. The room is very attractive and everything is kept spotless. The staff is very friendly and knowledgeable, you will be made to feel welcome as soon as you walk in the door. The menu is loaded with delicious items, I bet we have tried most everything over the years down, and, you they are all terrific. We at out in the patio and were the only people out there in that large space. Half way through our meal they brought in two women and a child, two VERY LOUD women and a child with an iPad watching a movie without headphones. They were seated at the closest table to us..... 30 open tables and they sat them right next to us. We finished quickly and left. Our service was great and the food was delicious. A little noisy, but the private booth helped. Our experience was good...not great. The service was a little laxed, but perhaps a Friday night is not the night for us to meet at Brio. I was once at this location on a Monday evening, and everything was GREAT! The food was good! Average Italian classics that for this part of the world can be found as good or better at any diner or pizza shop. We dine here a lot. It was not very good when we were there Friday night. Service was very very slow. And the portion sizes seemed to have changed with the new menu. The caprese appetizer was tiny tomato slices and tiny bits of cheese. And my spaghetti entree was smaller as well. Plus, the dressings and flavors were off. Place was busy so I felt that everyone just seemed overwhelmed. Dining here is always a perfect experience and we visit at least weekly. The room is quite lovely and the staff is both experienced and courteous. The food is delicious, I think we’ve tried most things on the menu I have never been disappointed. Great Happy Hour! Young guy as host was very nice. Our waitress was beyond Excellent and very attentive. We ordered every appetizer on happy hour menu and they were all good. This is a favorite Italian so I am not surprised it was delicious again. The staff is wonderful and friendly. 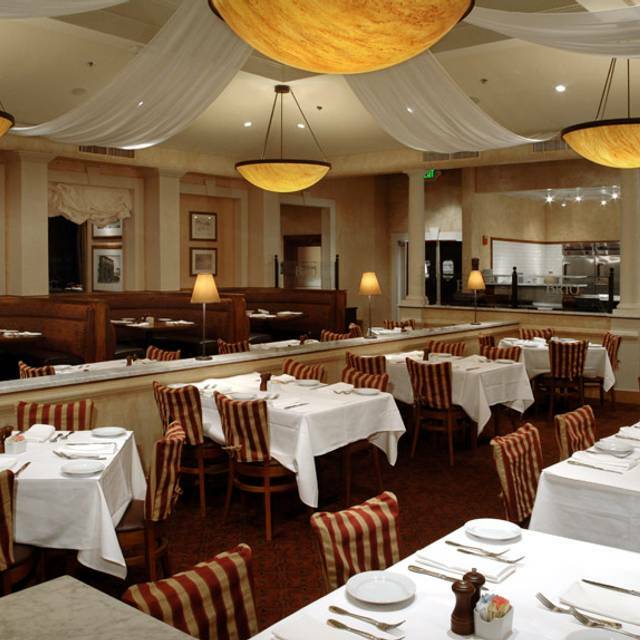 We feel like family when we eat at Brio Marlton. The food is consistent and tasty. The service is excellent. We are happy with the restaurant. Wait staff was very good. However chicken limone was grizzly. Not like usual. It’s not the venue or the ambiance. The food was absolutely bland. Our waiter seemed inexperienced and very apprehensive throughout the time. Everything on the menu was more $$-$$$ pricing. But what you got was not up to par. My family and I were very disappointed. Taste was lackluster, portions are small. When asked about the tastes and portions, answers were not direct. Felt sort of lied to. Paying extra for soups and salad that were very basic, on small plates, and were $6-9?! Very disappointed to spend $140 and not enjoy everything. Food was good, prices were High, service was excellent by an Italian-Albanian waitress and the noise level is why I will not return or recommend. Food is not a good as it used to be. Everything was over salted or undercooked. We dine here weekly and it is always a wonderful experience. It is a very pleasant room, the food is delicious, and, the staff is terrific. My wife had a chicken and pasta dish and she thought it was just fabulous. I had the crabcake entrée and it was very tasty and they went to great pains to make it in such a fashion that I, a multiple cancer patient, could enjoy. GImetta is a terrific server. The food was delicious as usual, the service was wonderful! Love Brio. On this night though service was mediocre. waitress took forever and once food was served never came back to see if everything was ok.
As always great food and service at brio. We had a very nice evening celebrating a friend's birthday. But overall it was rather expensive. Wait staff was very helpful. But still expensive! Wonderful as always. We are regulars who dine here weekly and have enjoyed almost every menu item over the years. All are delicious. The staff is superb, from the moment you arrive you shall feel most welcome. Try the crab cake, it is a meal unto itself. Food always great; very friendly welcoming staff that pays attention to specific needs (as does the kitchen). A pleasure. The food was very good. Our waitress was excellent. All in all in was a good time and would definite go back and recommend to my friends. I thought it was pretty good. I loved the lobster bisque. The pesto pasta was so-so. The mojito was good. The servicer was kind and very sweet. The bathroom was messy and smelled terrible. Great Sunday Brunch options enjoyed the food very much. Food was amazing, definitely going again. Had reservation, however, had to wait 20 minutes. Very noisy, difficult to hear conversation around the table. Once again enjoyed a lovely dinner at our favorite Saturday night restaurant. Service was excellent. We did start the evening off with a "table sitting" problem but that was quickly taken care of very nicely by your excellent Manager. Thank you Brio!!!!!!!!!!!!!! Delicious dinner and next-level customer service. We will return. I am not a fan of franchise restaurants for Italian food but this place was great! Definitely recommend.